Can I get heated seats? Do I have to get a sunroof? 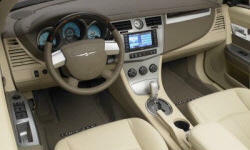 Find out what you need to know about Chrysler features right here. Ashtray and lighter (optional)Only listed if not standard on all trims. No value because no way to compare across models. DVD-Audio-compatible playerAudio system capable of playing DVD-Audio discs. Audio system capable of playing DVD-Audio discs. Traffic informationInformation about traffic conditions. Monthly fee after first 3-12 months. Information about traffic conditions. Monthly fee after first 3-12 months. Folding passenger seatFor carrying long items. Possibly also useful as a work surface. For carrying long items. Possibly also useful as a work surface. Touring suspension (upgrade)Less firm than a sport suspension. Only listed if an option or not standard on all trims. Less firm than a sport suspension. Only listed if an option or not standard on all trims. See TrueDelta's information for all Sedans and Convertibles. 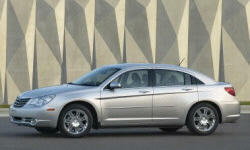 None of our members have yet commented on the available features of the 2010 Chrysler .